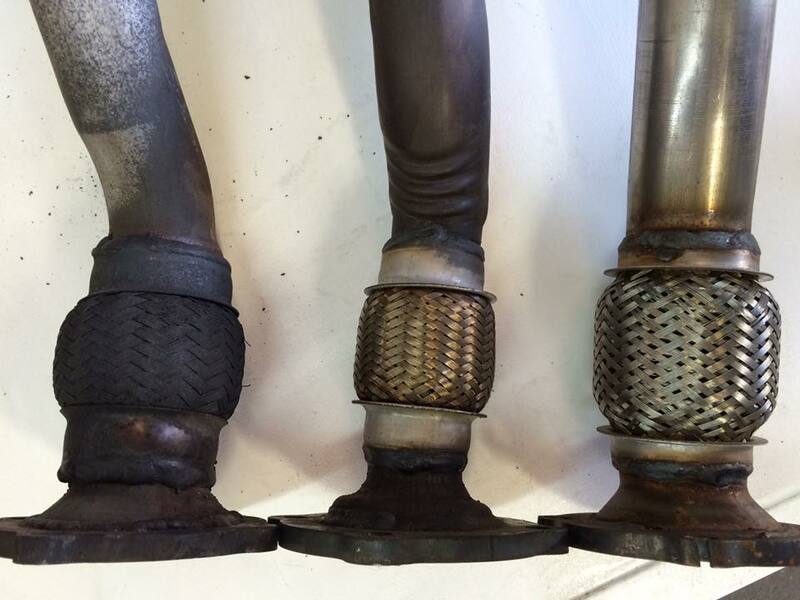 All W&L Incorporated Diesel Particulate Filters (DPFs) are engineered and manufactured by JMJ in Europe to have the exact diameter pipe, bends, sensor locations, and contain the identical (or better) metals and internal parts to meet your vehicles specifications. All parts manufactured to exact specifications in an Intentional Standard Organization (ISO) 9001-9002 Certified factory located in Europe. 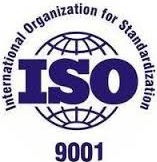 This ISO standard is based on a number of quality management principles including a strong customer focus, the motivation and implication of top management, the process approach continual improvement. This certification helps ensure that customers get consistent, good quality products and service from their products. W&L parts manufactured by JMJ are also TUV SUD certified. TUV SUD is a world leader in product testing and certification, providing testing to international standards and directives that are endorsed by leading quality and safety marks. 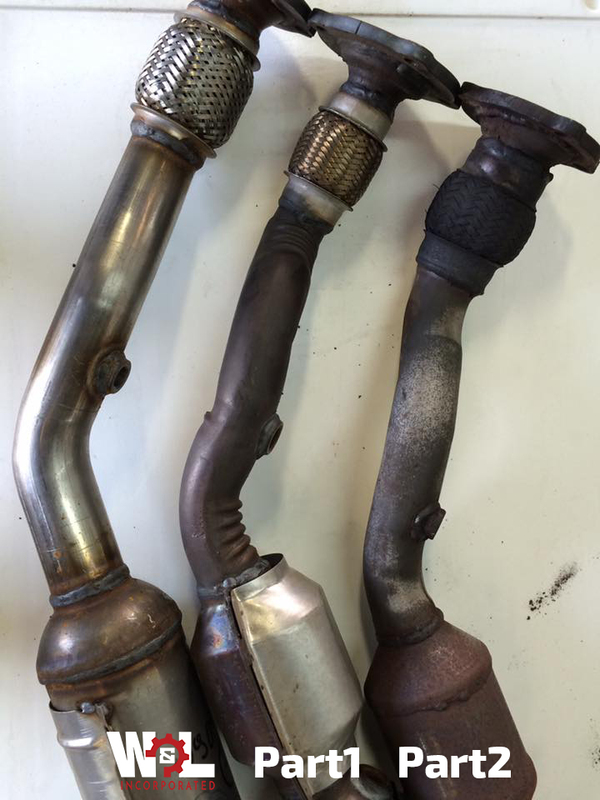 Above is a side by side comparisons of the W&L Volkswagen 1.8 Turbo catalytic converter (far right) to other aftermarket options. W&L quality and fitment is superior because it uses the same pipe diameter as the original. The competitor parts pictured needed to be stretched wider to fit the vehicle. 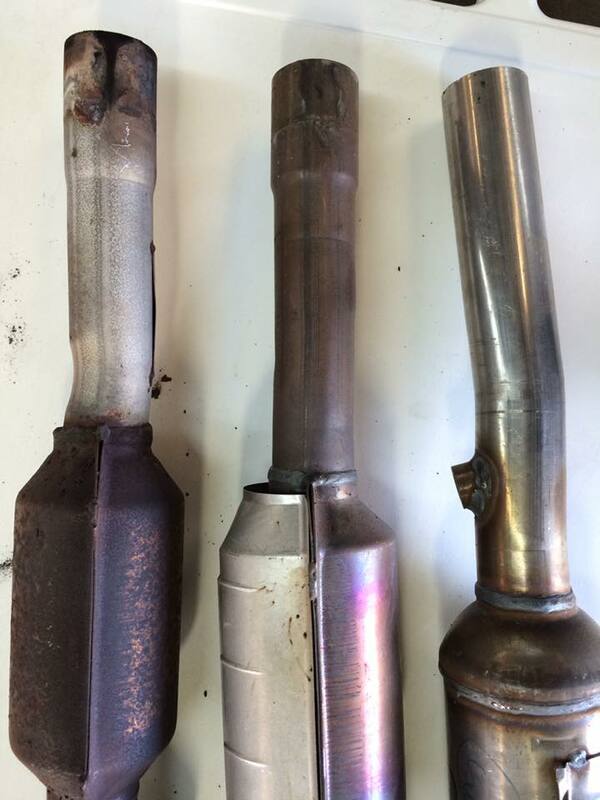 This narrower diameter creates a bottleneck in your emissions system and creates a higher temperature. 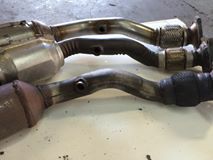 Which will damage the catalytic, and engine performance. You can also see the superior quality of materials and welds W&L Inc. has over other aftermarket options.